Dream Ebullition and Sleep Paralysis - What Happens? Every day I dream, every day really.. and I can remember almost every dream. My dreams are literally colorful (and I say this because my mother and my aunt have dreams in black and white, I don't know if this is relevant but my question is almost like a search for diagnosis, so I think it's good to inform everything). I have many lucid dreams and they all are very real, until I be 14 years old my dreams were limited to this: dreaming every day, to remember them almost every day and lucid dreams frequently, always with complex histories and "crazies," as my friends say. When I turned 18 and was vacationing at my parents because, I woke up at night so afraid, I tried to get out of bed but I couldn't, my body did not respond, I saw a black figure in front of me that was approaching and I could not move to run away, the figure moved to my side and I felt a strong pressure on my body as if there was something pushing me, I spent 10 minutes stunned. When I could finaly move I went to my mother's room, she prayed and stayed with me until I sleep again! That began to happen very often, I was hearing voices, seeing shapes, and feeling sensations/chills, hearing sounds that did not happen in fact. My family led me to spiritualist centers, they gave me amulets, etc. My mother thought I was possessed, I began to research and told me about a disturbance of sleep paralysis (I even found an Orkut community with people who had the same problems - there was a poll where members were trying to figure out together what were the causes of the sleep paralysis). After I realized that there were people going through the same problems and because of it it could not be a spiritual stuff, so I decided that every time the things started to happen again (to see shadows, hear voices) I would wait (about 10 minutes) and stay calm, be concentrated enough to think that nothing was real - While I was trying to move myself, because when I manage move my body it would be a sign that everything was Ok again. Recently, I started having dreams much more "crazy" than usual, I started dreaming about places, people and events complex and out of my reality. In my dreams it was common to exist people who I have never seen, places that I have never been before. But in recent dreams the amount of strangers and unfamiliar places increased. At the beginning of this month (august/2010) I dreamed I was on top of a building at night. It was very dark and there were five people or so with me in this building, my boyfriend was there, by my side, and besides us there were people in the "shadow" of the place, so I couldn't see the faces, just the figures. One of them came over and handed my boyfriend a box ... He opened it and inside there was a oval piece, like a medal but with the size of our palm, more or less, and the person who delivered the box just said "Red Dragon" (I speak and I use to dream in Portuguese, but the man said Red Dragon in English, he just said these two words and it was in English). I got it on my mind and during the day after the dream. My mother said me that If I had a remarkable dream with something curious I should search about it (she said it because once I dreamed that a lady taught me palmistry at the door of a bookstore and I wondered if what she taught was right). So I went on Google and searched "Red Dragon". I found on Wikipedia about it: it was a secret society in New York, within a university, and the symbol illustrating the description was just like my dream! (The only difference was that in my dream the dragon didn't have wings). I'd like to receive some answer, if I suffer from some psychological problem or what. I'll be waiting. Thanks so much for writing down your experiences and sharing them with us. Your English is great and your story is clear and succinct. Sleep-related experiences in life like those you have described are often so interesting in their incongruity, their transcendence of reality, that it's easy sometimes for spiritual or supernatural explanations to be reached for when trying to figure out what exactly is going on. But when you start to understand a little bit about the science that is actually behind everything that you describe, let me tell you, it becomes even more interesting. I can't describe how admirable I think your persistence and desire to research is. I hope what I say below can provide some further useful direction. "I woke up at night so afraid, I tried to get out of bed but I couldn't, my body did not respond, I saw a black figure in front of me that was approaching and I could not move to run away"
Your exactly right in understanding that your inability to move here is known as sleep paralysis. 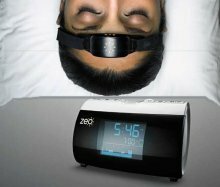 When we sleep at night we alternate between two different stages of sleep: REM sleep, where most dreaming occurs, and non-REM sleep. During REM sleep almost our entire body becomes paralyzed (minus our breathing muscles and a few others) to prevent our body from acting out the dream that the mind is creating--the paralysis is called REM atonia. Essentially what happens during sleep paralysis is the REM atonia outlasts the REM sleep for a brief amount of time, spilling over into the waking life. So your mind is awake but your body is still paralyzed. 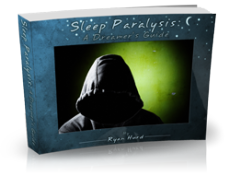 You can read more about how sleep paralysis works here. A detailed example of a woman describing a terrifying sleep paralysis hallucination where she was actually able to hear the thoughts of a horrible dark demon that appeared to her in her episode. A hallucination during sleep paralysis involving a frightening witch. It's incredible what goes on in these experiences, but when we understand the involvement of REM sleep all the pieces of the puzzle start to fit together and we are able to see that the visions, the feelings, and the noises are all dream related and a result of the sleep processes that occur in every single one of us. You can read more from people sharing their experiences with sleep paralysis here. "I have many lucid dreams and they all are very real....Recently, I started having dreams much more "crazy" than usual." From everything you have described about yourself, from the extraordinary dream recall to the vividness of your dreams, you have a lot of potential to be a very skilled lucid dreamer. If you are already achieving consciousness in your dream, where you know you are in a dream while you are dreaming it, the next step is to hone that consciousness to the point where you yourself are controlling and shaping the dream. This can be very useful for diverting nightmares and any kind of negative dream imagery that comes your way, but it can also be used for nearly anything else you can imagine. The dream world is at your disposal. If you practice and read up on the right techniques, I think you can achieve this kind of skill and control. One crucial man to know about if you're going to embark on lucid dreaming training is Dr. Stephen LaBerge, the world's foremost expert on the subject. Dr. LaBerge is a self-trained lucid dreamer who knows more about the process than just about anyone else. He comes to our Sleep and Dreams class each year to give lectures on dreaming, and much of what I know about lucidity I owe to him. He has a website at Lucidity.com that has a wealth of knowledge about techniques, research, and secrets he's acquired over the years. He also has a classic book filled with how-to strategies and guides (click here to see it). Both the website and the book would be fantastic resources to dive into. Comments for Dream Ebullition and Sleep Paralysis - What Happens? She (Rebecca Turner) is an incredibly experienced lucid dreamer and a great writer, and her website is full of great material and resources on the subject. I hope some of this proves useful for you. Your strong conviction and dedication to learning is extraordinarily admirable and it was a pleasure being able to respond to your well-put questions. I would really love to hear from you anytime on the site in the future. If you have anything to say or want to share some of your research, feel free to get in touch with me. In the meantime, if you have any more specific questions that I didn't get to, or you would like resources on anything else in particular feel free to let me know using the "Post Comments" link below. Best of luck in your quest for knowledge! Thank you for your explanation, it helped me to understand a lot of things! And I think I will visit Dr. Stephen LaBerge website, because I can't control the dreams when I want to, I only control them sporadically and it would be interesting to improve this skill. But one question still remains: the Red Dragon stuff. How could I dream one thing so specific like that secret society that I've never heard about? Does it have anything in common with the causes of sleep paralysis and lucid dreams?